WILLEMSTAD - Curaçao and Russia, two of Colombia's biggest beef buyers, have suspended shipments from the Andean nation after an outbreak of foot-and-mouth disease, Colombian officials said on Tuesday. A ship carrying beef to Russia was turned back when its authorities were notified about diseased animals in Colombia, Jose De Silvestri, head of the northern cattle ranchers association, told Reuters. Beef exports to Chile and Peru have also been suspended, an official at the Colombian Agricultural and Livestock Institute (ICA) said. Beef certified before July 5 will be accepted, ICA said. The outbreak, the first since 2009, was detected in eight properties in Yacopi, central Cundinamarca province, and a quarantine declared to prevent the spread to 13 municipalities bordering the cattle corridor, ICA said. Last month, the disease was detected at a farm in northern Arauca province, close to the border with Venezuela. It was contained with the slaughter of seven animals. Foot and mouth is a highly contagious and sometimes fatal disease that affects hooved animals such as sheep, goats, cattle, buffalo and pigs, although it is not a direct threat to humans. Colombian Agriculture Minister Aurelio Iragorri has said the virus that causes the disease came from an external source, likely Venezuela which smuggles cattle into Colombia. 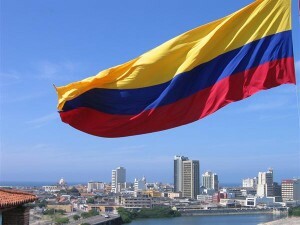 Colombia exports beef and livestock to countries like Peru, Ecuador, Chile and Panama, but its main markets are in Russia, Dutch Caribbean island Curaçao, Lebanon and Jordan.